Kansas Secretary of State candidate Jean Schodorf talked about minimizing voting hurdles and fellow Democrat, gubernatorial candidate Paul Davis, stressed education funding as priorities if elected. Davis says a strong coalition has formed. "I think we are going to see a very high turn out from Latinos and African-Americans and I think that’s going to be part of the key to success here," he says. Canvasser Carlos Zabala says Hispanics must be informed to vote. "So it’s why we’re just going out, knocking on doors and letting them know what is important for the future of the students, the economy and jobs in Kansas." Latinos and blacks make up nearly 25 percent of the state’s voting population. Kansas People's Action has launched an intensive effort to reach these voters across the state up to Election Day, November 4th. Could Anti-Incumbency Decide Kansas Races? 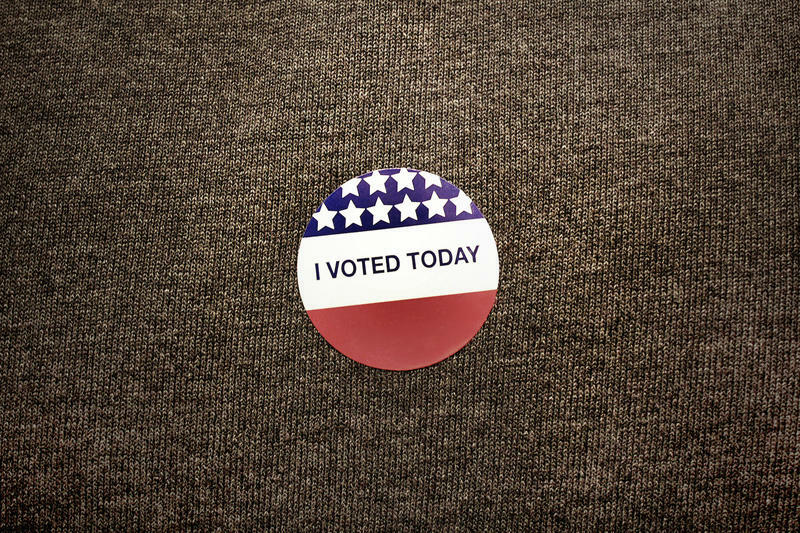 Although midterm elections are less than two weeks away, a number of races in Kansas are still up in the air. Polls haven’t indicated a clear favorite for governor or the U.S. senate. KMUW’s Sean Sandefur takes a look at the political makeup of Kansas voters and why some incumbent Republicans are fighting for their lives. The brutal murders committed by Jonathan and Reginald Carr in Wichita over a decade ago were an unexpected topic in Tuesday’s debate between Governor Sam Brownback and Democratic Challenger Paul Davis. In Brownback’s opening remarks, he mentioned that the Kansas Supreme Court’s liberal tendency led to a ruling in July that overturned six of the eight death sentences for the Carr brothers. The forum covered several issues several times as the SAFE (Secure and Fair Elections) law, sponsored by Kobach, was attacked and defended. The law, which requires proof of citizenship for new Kansas voters, has left 22,000 would be registrants -- not so. The Democrat running against Republican Secretary of State Kris Kobach has released her tax records to the media, and she says Kobach should do the same. Former state Senator Jean Schodorf, from Wichita, released tax returns from the last three tax years. 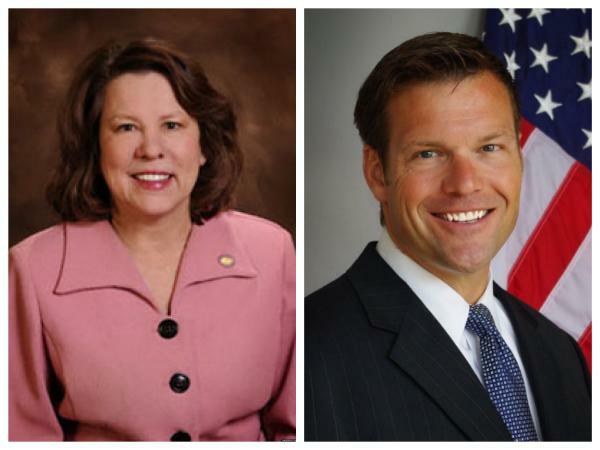 Schodorf wants Kobach to provide his tax documents to prove how much time he spends working on immigration issues that are not related to his job as Kansas secretary of state. "Whether he's making more money in his private practice, whether it is just a part-time job. And I think it would put the issue to rest," says Schodorf.